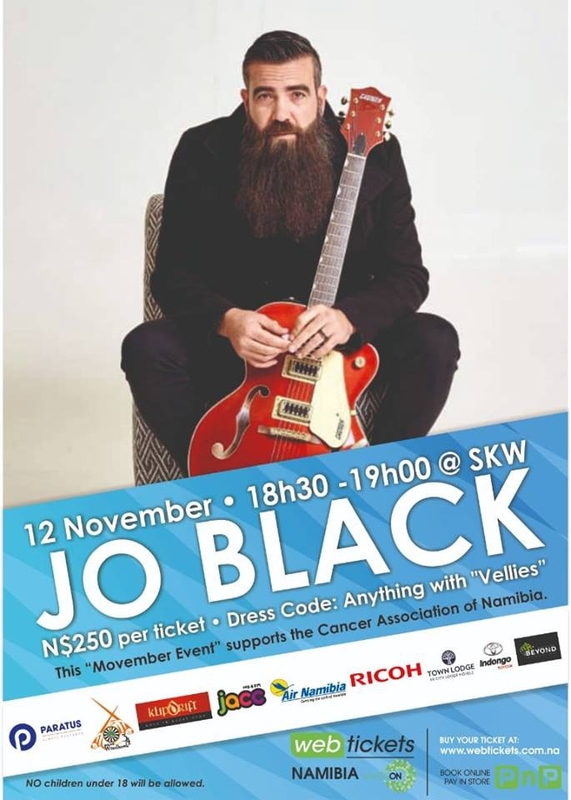 Round Table Windhoek 34 offers you the sounds of Jo Black. All in support of the Cancer Association of Namibia. The first time in Namibia. Come and listen to the man with the beard. No children under the age of 18 will be allowed. Movember is a cancer awareness project for men. The event is at raising funds for cancer. The event includes only a show/performance by Jo Black with an auction to raise funds,cash bar available and food will be sold.